In his quest to reach out to beings existing on a higher order of existence, Krona has destroyed Earth in order to learn what he can from it's Worldsoul. 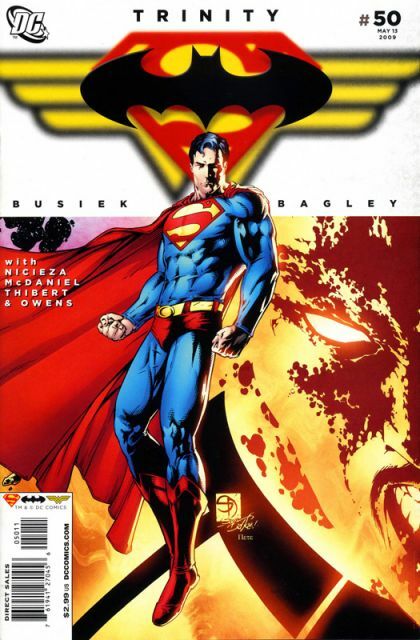 But after being forced out of her realm when the confrontation doesn't go his way, he finds himself once again confronted by the cosmic forms of Superman, Batman and Wonder Woman. Allied with the lingering Worldsoul of Earth, they may have a way to undo the damage that Krona has wrought.